FOXBOROUGH, Mass. — For all of the talk about Todd Bowles’ job security, Brant Boyer’s seat is especially warm. 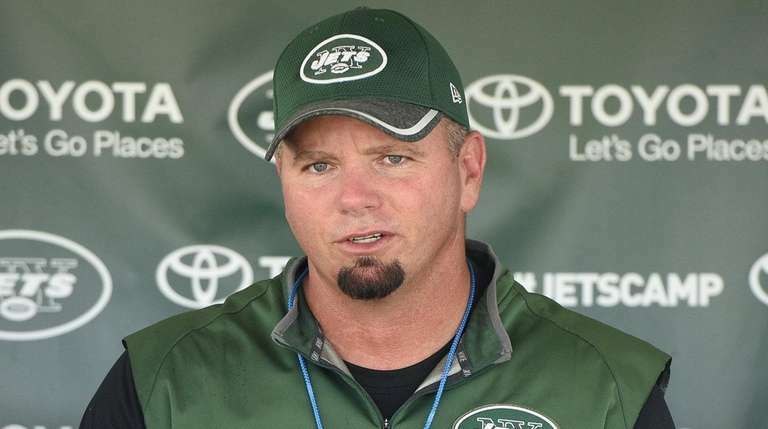 The Jets’ special teams coordinator was hired in the offseason to revitalize one of the worst units in the NFL. But after 14 weeks, Boyer’s group has been one of the most disappointing on the team. “I learned a long time ago when I was playing, to be honest with you, that they can fire Peyton Manning, they can fire coaches, they can fire anybody,” Boyer said just days after the Dolphins blocked Lachlan Edwards’ punt and returned it 11 yards for a touchdown in the Jets’ 34-13 loss on Dec. 17. “If you do it long enough in this league, you are going to get fired at some point. Injuries are partly to blame for the unit being ranked last in the league in special teams efficiency by FootballOutsiders.com. Eight of the 11 players on the Jets’ kickoff team against the Dolphins weren’t on their opening-day roster. “It’s tough, I’m not going to lie. But that’s part of the profession,” Boyer said of the roster turnover. “Guys who just got here two days ago? You show them what to do, and you try to bring them along. You bring them along slowly. At the end of the day, can they get the job done in the first week or two? You don’t know.